Ruiz 4 Kids, the non-profit 501 (C) (3) organization of Ruiz Food Products, Inc., is made up entirely of Ruiz Foods Team Member volunteers. Founded in 1991 by Team Members with a passion for helping children, our mission is to provide opportunities, to inspire hope and change in children’s lives. 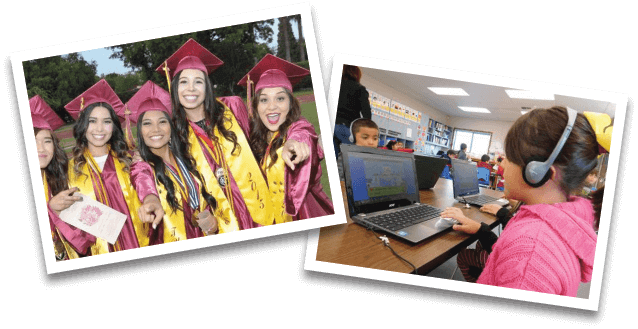 With manufacturing facilities in Dinuba/Tulare, California, Denison, Texas and Florence, South Carolina, Ruiz 4 Kids offers two programs supporting educational initiatives for youth: scholarships and a Mini-Grants for Teachers Program. Since its inception, the Louis F. Ruiz Scholarship Program has awarded over $2,500,000 in scholarships to graduating high school seniors entering their first year of college. In 2017, Ruiz 4 Kids added a scholarship program specific to community college students transferring to an accredited 4 year college/university. Sponsors of the annual Louis F. Ruiz Golf Invitational provide funding for the scholarship program. The Mini-Grants for Teachers Program, started in 2013, provides funding to K-12 teachers outlining programs to enhance the learning experience for students. Ruiz Foods Team Members' donations provide funding for the Mini-Grants for Teachers program. Many of our donors choose to support Ruiz 4 Kids for a variety of reasons–some have a heart for our mission, some have been helped by one of our programs, and others because they have an association with Ruiz Foods. Whatever the reason, we know that transparency and accountability is of paramount importance. It is with that goal in mind that we proudly share the documents below.